Pelargonium or Geranium zonale. Dicot. 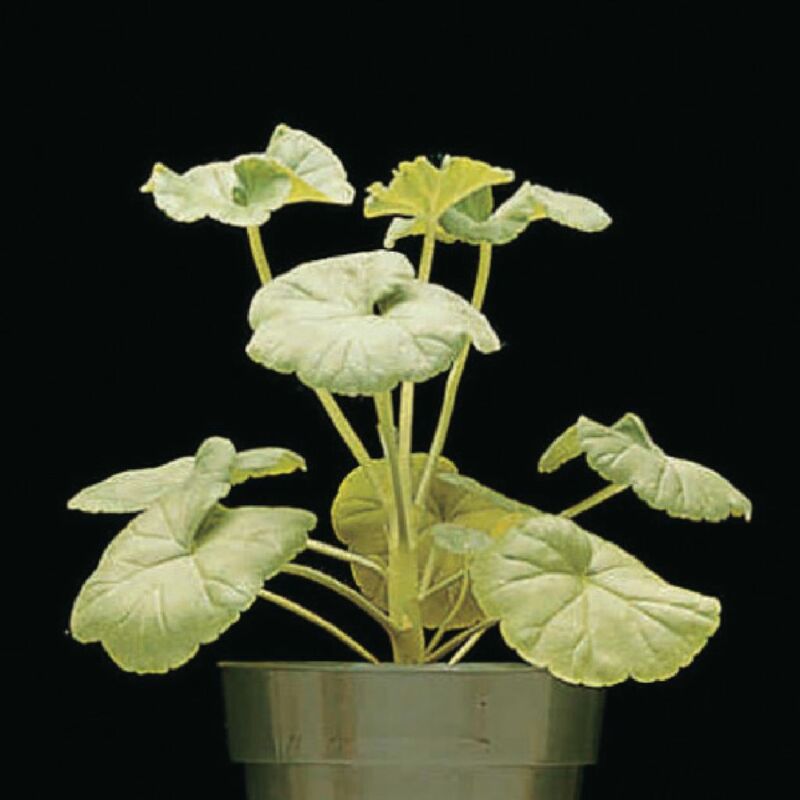 With large, rounded leaves and upright growth habit, this plant is distributed worldwide. It is supplied in a pot with care instructions. Size: 6–8".